The main reason to choose Guitars Etc. as your music lesson provider, is that we are sensitive to the fact that every student is an individual. All our teachers have had many years of lessons behind them, most are in a band and are performing around town. One is in the TISD school system as a music teacher. We have many different varieties of teachers from mastering one to three different instruments! In addition to their teaching credentials, our teachers have warm personalities, are extremely friendly and strive to get to know each student and their parent on a personal level. Our piano teachers teach a variety of styles from classical to popular music. Whether you want to learn Bach or Alicia Keys, our teachers are happy to help you become the pianist you want to be. Our piano faculty will show you the fundamentals of sight reading, technique and theory, but they will also incorporate your favorite songs into your lessons. You do not have to have a piano at home to take lessons. A simple full size electronic keyboard will be a great assest. Our piano teachers have warm personalities and enjoy sharing their love for the piano with you. Our drum instructors teach rock, metal, jazz, funk, blues and many other styles. Drum language can be complex and our instructors will challenge any drummer with a wide variety of technical exercises designed to improve your speed and comfort. All drummers bring in their favorite drum parts to learn in their lessons and theory is encouraged. You do not have to purchase a drum kit to take lessons. Beginning students can learn with a drum pad and sticks for only $45. Students use our drum set at their lessons and do not have to bring anything except their drum sticks and a their book. If you have always wanted to be a better rock, pop, country, jazz, gospel or R&B singer, then we have the right voice teachers for you. Voice students spend time each week doing physical exercises to improve their vocal range, ear training, breath control, vibrato, tone production, enunciation and more. All voice students set goals with their teacher to work on sounding like their favorite recording artists, or if they prefer, to develop their own unique voice. 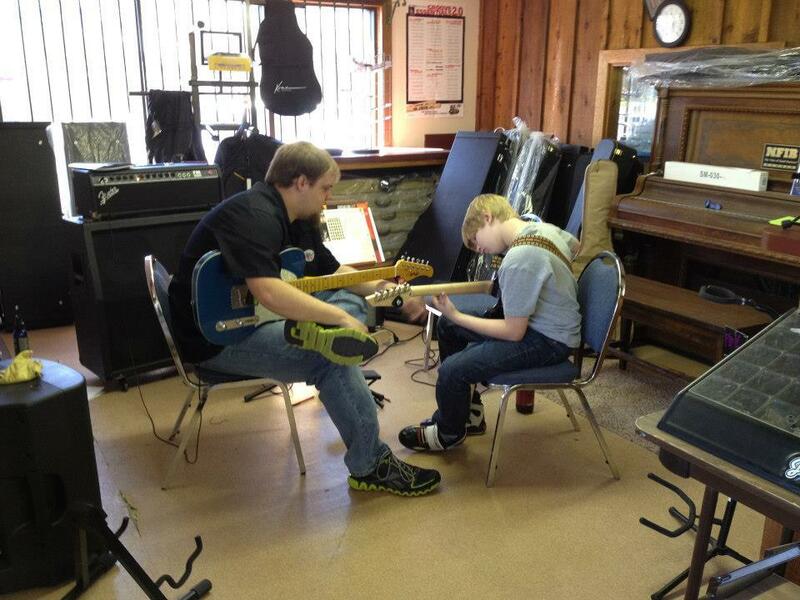 $24.75 per 30 minute private lesson held once a week. Monday through Thursday 2:30 to 8pm.